The McKinley Grant was the catalyst we needed to start seriously developing an easy-to-use, reliable, and reusable intubation verification sensor, offering a more affordable option for small, underfunded EMT teams. Our vision is to build a sensor that detects the rate of change of CO2 being exhaled by the patient to set off a binary indication light that glows green or red to indicate whether a patient is breathing properly. Coming into the competition, we had our very first prototype which was a basic proof-of-concept. We are proud to share the great news that we are finishing the second prototype of a sensor device that interfaces with an endotracheal tube, which we wouldn’t have been able to do without the generous grant from the McKinley family. We’ve used the grant funding on parts for the device of the second prototype. In other updates, we’ve continued our market research, evaluating options such as a direct go-to-market approach or working with research institutions. Next semester we plan to be be residents at the Harvard Innovation Lab, where we will have access to the Da Vinci 3D printing lab, which will allow us to work on future iterations of the product. It’s been an exciting past 6 months for Doorbell; we've doubled the number of units we're powering with the Doorbell platform around Metro Boston! Since receiving the McKinley Grant in April we have added 485 apartment units, rebuilt our entire software stack, hired 7 more full time team members, and have expanded our product to include exclusive local discounts with local partners. The update I'm most excited about is how awesome our team is! 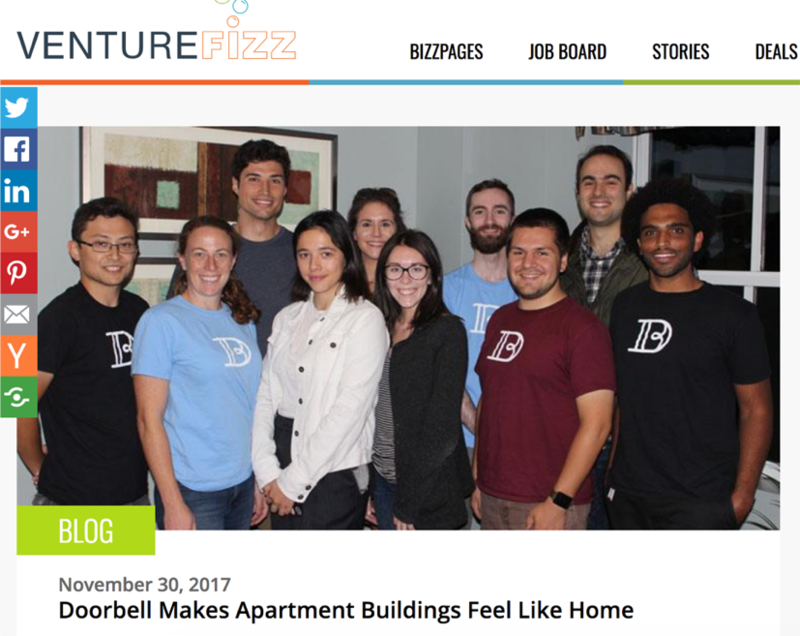 We've been growing on both engineering and community ops and are now 8 full-time and 2 part-time in what is truly a dedicated and passionate team building communities in apartment buildings across Boston and Downtown Worcester. 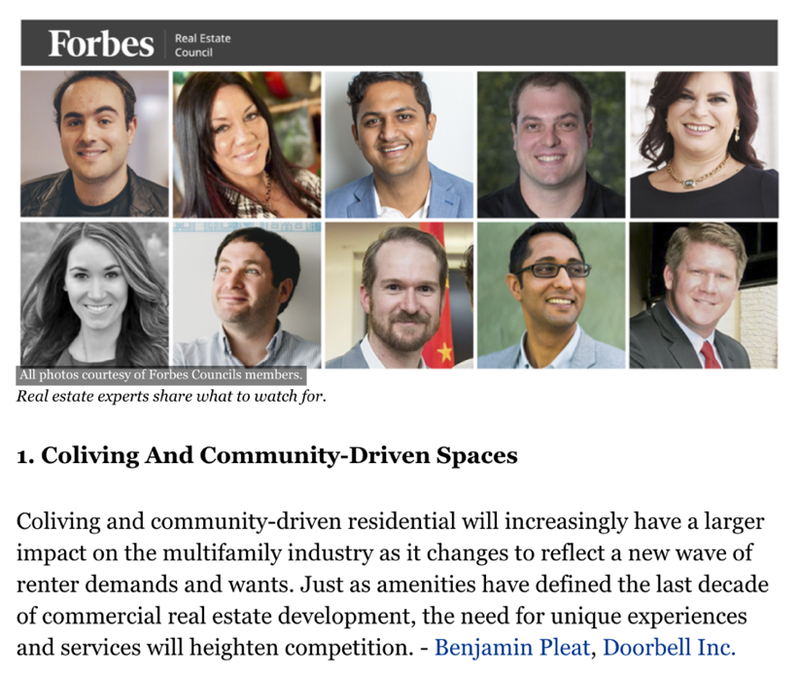 We also had a nice feature in Forbes just the other week and VentureFizz a few weeks before. Winning second place at i3 allowed us to hone in on our value prop with essential feedback from judges. The prize also helped us expand our engineering team and build brand new naive experiences for our iPhone and Android-using residents. Thanks to i3 we have invested in our growth, learning, and impact potential.